Sometimes having oily hair can be a real struggle. If you have oily hair or an oily scalp, it may result in having flat and limp hair. Worry not, we got you! Here are 7 shampoos that will bring your hair back to life! Pantene Pro-V is great for those with oily scalp because it cleans your scalp and removes all traces of oil and dirt. It improves your hair texture leaving it smoother and soft. Additionally, it also gives you more volume and a beautiful shine to your hair. This luxurious haircare is infused with botanical ingredients and is paraben free as well. If you have coloured hair, you’ll know it takes a lot of care and maintenance. This duo hydrates coloured hair and give it an extra shine! 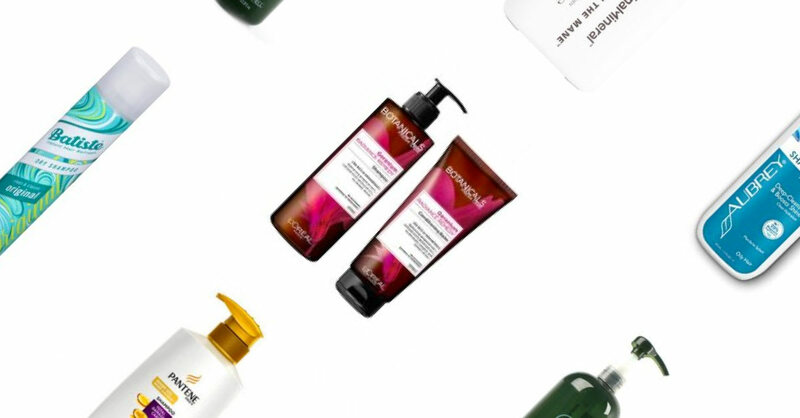 Turn your dull locks into a vibrant and shiny mane with this shampoo and conditioner bundle! This is one of the best oil-eliminating organic shampoos out there. It removes oil thoroughly and gives your hair and scalp that squeaky clean feeling. It also works well removing dandruff and keeping your scalp clean. As it is a ‘clarifying’ shampoo, it is recommended to only use it every now and then when your hair requires it. This tea tree shampoo has special ingredients and tea tree oil that helps get rid of impurities and oil, leaving your hair and scalp feeling clean and fresh. It also gives this lovely tingly sensation from the peppermint as well. On top of that, the lavender and natural tea tree oil will also leave your hair smelling amazing! This natural and nourishing sulphate-free shampoo is suitable for thin and fine hair. Using oils from evening primrose and macadamia seeds, it helps to moisturise your hair and cleanse the scalp. Say goodbye to limp and flat hair with this shampoo! If you have an oily scalp and experiencing a hair fall at the same time, then this is definitely worth the try. Using coconut extract, this shampoo heals your damaged hair and strengthens it to avoid any further hair fall. Having oily hair or an oily scalp may result in having flat and limp hair. This dry hair shampoo not only helps decrease the oiliness, but it gives you a clean and refreshing feel to it. It also has an amazing scent that makes you smell good throughout the day!